Screen doors allow a breeze to enter a home in balmy weather without allowing pests into the house. The addition of a closer to a screen door provides a door that will close behind anyone entering or exiting. This is a very useful item for homeowners with their hands full of items going in or out of the house. Screen door closers will swing shut more quickly than a person could shut the door after they set down items they are carrying. This allows less cold or warm air to escape from the house and saves energy. Screen door closers require routine adjustments so that they close fully. Locate the adjustment screw on the end of the screen door closer. It is an inset screw on the side of the closer nearest the hinges on the door. This is the bypass valve portion of the closer. Open the door fully and prop it open with a broom or hold it open with one hand. Opening the door gives more room to reach the door closer for adjustments. Place a Phillips screwdriver in the inset and turn the screw in the bypass valve 180 degrees clockwise. The clockwise adjustment will allow the door to close more softly and slowly. Release the door and observe the closing action. If it is now closing too slowly and not fully catching in the latch, it will need adjusting in the other direction. Turn the adjustment screw 90 degrees counterclockwise to increase the door-closing speed and force. Release the door again and observe its actions. 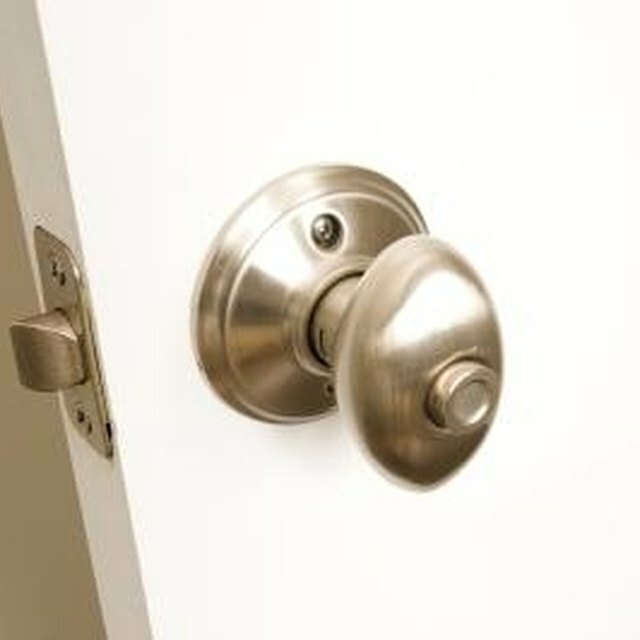 Turn the adjustment screw in either direction 45 degrees to make smaller incremental adjustments at a time until the door operates properly by closing fully, latching and not banging on the latch. Spraying a lubricant on the screen door hinges and latches occasionally will help the door swing evenly and latch correctly. Move hands fully away from the screen door closure while making adjustments so it does not pinch hands or fingers as it closes.